This tutorial will show you how to install an optional update in Windows 10. These updates are pushed over the Internet and you can also download them and install them offline if your system does not has Internet access. All the critical updates will be downloaded and installed regularly as Windows 10 would keep on searching for these updates at a time scheduled in Automatic Maintenance. Apart from these critical and important updates, Windows 10 also received some optional updates which may include like an update for language pack etc. Earlier, to install these updates, one has to choose them and install them from Windows Update feature manually. Now, Microsoft has disabled this feature. You cannot choose what update to install and what to skip. Microsoft will install all the updates by default either it is a critical update, or it is an update to other Microsoft products. However, some options may help you in case you don't want to install the update for a particular Microsoft product like Office, Silverlight, some drivers, etc. Maybe, you think that the upcoming update will make it unstable? Now Microsoft stops listing optional update in the Windows Update, so, there are two external tools to do that. One is from Microsoft, and another one is a third party tool. How to Start / Stop Receiving Optional Update for a Product? We will be taking help of Microsoft's Show or Hide Updates troubleshooting package to list the available updates. 1. Download the tool from the list given in this Microsoft Support article. 2. Run this tool and click Next. 3. Now the tool will look for the optional update available to install on your computer. Now click Hide updates. 4. It will display the list of optional update that you can hide. Microsoft will not install the hidden updates to your device. Select the updates you to want to hide and click Next. Note:- This is a temporary way to stop receiving the optional update. 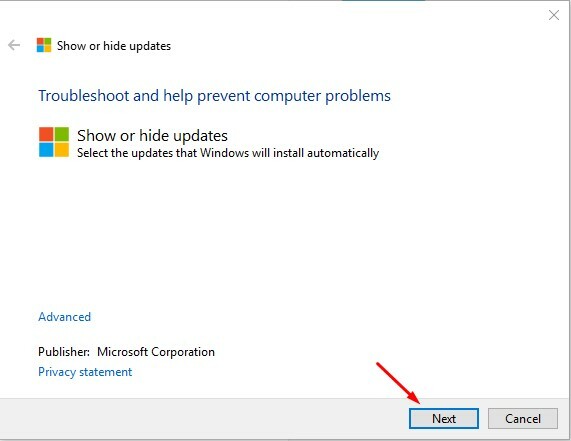 Microsoft will only not install the update you hide and when the next update is available for that product, it will be installed unless you do this exercise again. 5. After few seconds It will display the Troubleshooting has completed. Now click Close. 1. Open the Show or Hide Updates tool which you downloaded earlier and click Next. 2. It will search for the updates and now click on Show hidden updates. 3. It will display the list of the hidden updates. These updates will not be installed on your device. Now select the updates that you want to install automatically and click Next. Note:- Show or hidden update tool will not directly install the update on your device. It will just whitelist the update, so that next time Windows Update will install it. To directly install the optional update take help of third-party Windows Update MiniTool which we will be discussing next. 4. After few moments it will display Troubleshooting has completed. Now Close the tool. Windows Update MiniTool is a third-party application that will list all the updates available for your computer. It will display same updates you viewed using Show or Hide Update tool. The only benefit of this tool is you can directly install the update from here. 1. Download the Windows Update MiniTool. 3. Extract the Zip folder and run the tool according to your system architecture, i.e., x64 or x86. You will need administrator access to run the tool. 4. Select Include drivers box and click on the Refresh Icon. 5. It will display the list of all updates available after few seconds. You can see these are the same updates we saw using Show or Hide Update tool. The tool also lists Installed, Hidden, and Update history. Select the update and click download and install button to install it. Recently, Microsoft has shown how much they are obsessed with getting the control of updates. Earlier, you could disable the updates and opt for never receiving it. Now, you cannot even choose optional updates. However, these two tools mentioned in the article may save your day. You can hide the update if you don't want to install it automatically. You can also take help of Windows Update MiniTool to install an update. If you want to install updates for other Microsoft products as well, you have to manually activate it in the setting. Otherwise, it will only include the windows updates. Windows 10 Home edition does not have “details” or “download”. The name of the updates is displayed and they are downloaded automatically. No option to pick and choose what you want installed.